THE GOVERNMENT HAS agreed to set up a Tribunal of inquiry into allegations of a smear campaign against Maurice McCabe. During Leaders’ Questions this afternoon, Kenny said the inquiry will find out the truth as to whether there was a smear campaign against garda whistleblower Sergeant Maurice McCabe. Tribunals are set up to examine specific matters of urgent public importance. At its end, a report will be submitted to the Oireachtas – which may contain recommendations. In many cases, a tribunal of inquiry will also give recommendations with a view to preventing the same problem happening again. It also has the power to include suggestions for law reform. However, the tribunal’s function is purely investigative and fact-finding. Therefore, if the findings of a tribunal give rise to criminal investigation, the admissions made within cannot be used in evidence against a person in those proceedings. It is not a function of Tribunals to administer justice, their work is solely inquisitorial. What is a Commission of Investigation? Commissions of investigation are less expensive and a speedier method of investigating matters of public importance. They are also intended to be less adversarial. They have become more popular in recent years as opposed to holding tribunals and are set up by a government order which must be approved by the Dáil and Seanad. The terms of reference are set by the government or by an individual minister. The commission makes a final report on its findings to that minister who is then obliged to publish the report. If the minister considers that publication would prejudice any criminal proceedings that are in progress, they can apply to the High Court for directions. What have they been used for? A Commission of Investigation was established to investigate the main causes of the banking crisis in 2010. In 2006, a Commission of Investigation looked into the handling of complaints of child sexual abuse involving Catholic priests attached to the Archdiocese of Dublin and, in 2005, one was set up to investigate the 1974 Dublin and Monaghan bombings. Tribunals are something Ireland are extremely familiar with – namely how long and expensive they can be. Remember Mahon? And Moriarty? And Morris? This was originally meant to be a Commission of Investigation, right? 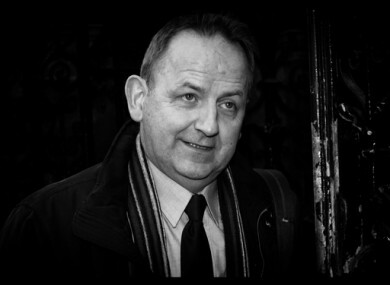 Sergeant Maurice McCabe released a statement yesterday evening calling for a full public inquiry into the allegations made against him, saying that “there is no reason to have any secret or private inquiry”. Evidence in Commissions of Investigations is generally given in private – something that McCabe was opposed to. Calling for the public inquiry and noting that Health Minister Simon Harris said that they were entitled to “truth and justice”, McCabe and his wife Lorraine believe they wouldn’t countenance having to wait 18 months for the findings of a private inquiry. What powers does a Tribunal have? Tribunals are vested with the powers, privileges and rights of the High Court. Tribunals are usually chaired by judges or senior lawyers and they can make orders to force witnesses to attend and give evidence. The High Court can order a witness to give evidence and hold them in contempt of court until they cooperate. It is a criminal offence to refuse to give evidence or to co-operate. A tribunal can also order a person to pay the costs of another person appearing before the tribunal or the costs of the tribunal itself, if it considers that there is sufficient reason to do so. This may happen if a person fails to co-operate with the tribunal or gives false or misleading evidence. The duration and costs of tribunals have been seen as problematic. The tab is usually picked up by the State and can run into the millions. The Mahon Tribunal, which was established in 1997 to investigate allegations of corrupt payments to politicians regarding political decisions around planning permissions and land rezoning, lasted 15 years and cost an estimated €200 million. The Comptroller and Auditor General published a Special Report into Tribunals of Inquiry in December 2008 which gave an estimate of the costs involved in the more recent Mahon, Moriarty and Morris tribunals. Critics of the process say that they are lengthy, costly and have no real power. However, we don’t yet know the terms of reference, who will lead it and how long the tribunal will have to report back. This evening, another garda whistleblower, Keith Harrison, demanded that his case be included in the upcoming tribunal. Email “Explainer: What exactly is a Tribunal of Inquiry? ”. Feedback on “Explainer: What exactly is a Tribunal of Inquiry? ”.